What Happens During a Case Assessment? If you have sustained injuries as a result of someone else’s negligent or reckless actions, you can schedule a case assessment with a personal injury lawyer to discuss your legal rights and options. During this initial consultation, the accident attorney serving Tracy and Manteca will evaluate the circumstances of your injuries. You can expect to answer questions such as how you sustained the injury, where you were at the time, whether there were any witnesses, and whether a police report or other incident report was filed. Your attorney will also ask you some questions about the extent and severity of your injuries, and whether they have led to other losses such as lost wages and medical expenses. Then, personal injury lawyers will discuss the merits of your case and explain the likelihood of obtaining compensation. Depending on whether or not you could have a claim, your lawyer may ask you to sign some medical release forms and to disclose your insurance information. Before your consultation has concluded, you’ll have the opportunity to ask the injury lawyer any questions you may have. There are many aspects to estate planning near Tracy and Livermore. A lawyer can help you by preparing your last will and testament, drafting your advance healthcare directive, and finalizing other important documents. However, it’s important not to overlook another key aspect of estate planning : Discussing your decisions with your adult children. Some parents prefer to discuss estate planning with each adult child separately, while others prefer to disclose this information during a family meeting. Meet with your lawyers to finalize the details before broaching this topic with your children. Decide ahead of time whether you will share specific information, such as the amount your children might expect to inherit. If so, it’s typically best to underestimate this amount, just in case your living expenses are greater than you plan for. Or, you might only wish to tell your adult children that they will have an inheritance without specifying a dollar amount. 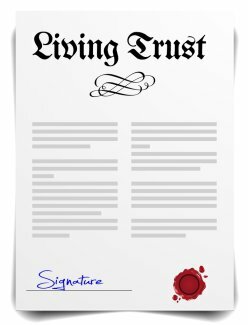 This is a decision left to your discretion; however, keep in mind that if you have established trusts for your children, it may be wise to explain the basic structure of the trust. If you have jewelry or other family heirlooms to pass down, you have the right to decide who will receive which item. However, you may wish to bring up this issue with your adult children to prevent any future disagreements. You can always have your estate planning attorney amend your will to reflect your children’s preferences. For example, one child might prefer to receive antique furniture, while the other may be more interested in family historical records. Even if you prefer not to tell your adult children exactly what they can expect to inherit, it is a good idea to let them know that you have made a will. Let them know where they can find your important documents in the event of your death, who will administer your estate, and what steps they must take in the aftermath of your passing. Consider writing a list of people they can contact, such as your estate planning lawyer and financial advisor. If you are hurt in a car accident , you should consult with a personal injury lawyer near Tracy or Livermore. Your lawyer will make sure you are properly compensated, whether through a settlement or in trial. Only a personal injury lawyer knows the value of a claim, which is why you should never attempt to settle with a car insurance company on your own. If you attempt to settle without consulting lawyers, you could end up accepting far too low of an amount. An injury lawyer can evaluate your case to determine how much money you may be entitled to—and what is fair to ask of a car insurance company. If you are hurt and desperate, you need an attorney to fight for your rights.